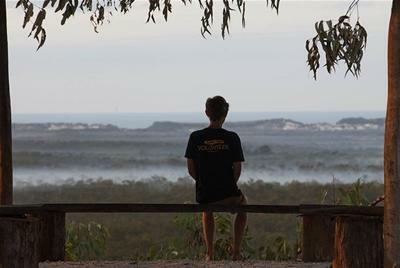 Volunteering at Garma is a rewarding, insightful and a unique experience. Its a great way to get involved behind the scenes of one of Australia's leading Aboriginal festivals. Garma would not be possible without our strong base of volunteers and for that we are eternally grateful. By volunteering at Garma you may find the occasion to rub shoulders with some of Australia’s leading thinkers in Aboriginal Affairs, learn about Yolngu culture or find yourself sharing a cup of tea around the campfire under the skies of Arnhem Land with your Yolngu hosts. In return for your generous donation of your time and energy you will receive 3 meals per day, tented accommodation, access to parts of Garma 2014 programming, a volunteer t-shirt, Garma 2014 program and the chance to learn about and experience Yolngu culture first hand whilst staying on site at Gulkula, the remote bush site where Garma is held. Visit the apply to volunteer section to find out more and register your interest.